Introduce Receptra Prime hemp flower extract, with Naturally Occurring Cannabinoids, to your Healthy Living Strategy™. Take back control of your health and wellness today by targeting threats to your immune and central nervous systems with Receptra Prime. Receptra Prime Ingredients: MCT Oil, Sunflower Oil, Organic Natural Flavors. Health and Wellness is Receptra Naturals’ line of pure hemp CBD oils. Available in 2 concentrations, Prime & Plus, for a natural defense against a full spectrum of threats to your immune and central nervous systems. 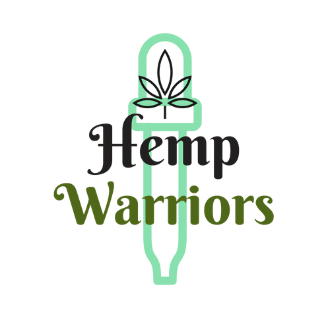 Receptra Health and Wellness Hemp CBD Oils are ideal for those new to CBD and those who depend on it for advanced wellness needs. Receptra Health and Wellness is thoughtfully created to assist your body’s pursuit of homeostasis by stimulating the human endocannabinoid system. Receptra Health and Wellness is derived from proprietary hemp genetics 100% grown on family owned farms in Colorado. We only use the highest quality hand-picked hemp flower to ensure a premium and safe full-profile cannabinoid extract. Simply fill the dropper and squeeze the oil under your tongue. Allow oil to absorb for 15-30 seconds, then swallow and enjoy. Adults may take 1 full dropper (approx 24 drops or .8mL) 2-3 times daily.